(Published January 30, 2019). Just arrived and on display in our showroom, see the Chaparral 317 SSX. New model for 2019, Chaparral 23 h2O. Recent pre-owned additions, 2012 Regal 38 Express and 2000 Cigarette 38 Top Gun, plus brokerage network feature Carver 374 Voyager. 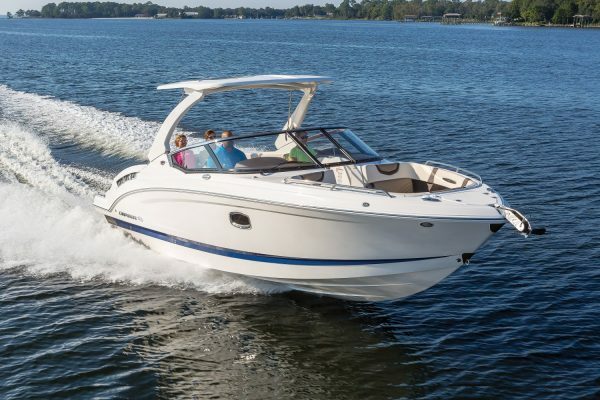 Just back from the Chicago Boat Show, see our 2019 Robalo R302 Center Console. Dock your boat at Pier 33, see our Lakefront Video Tour.